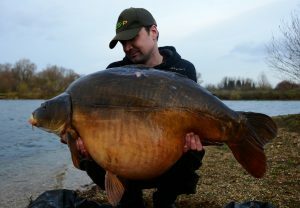 THE final 2018 changes to the British Record Fish List have included a number of fish being accepted – but there was a ‘NO’ to one high-profile giant. Lawrence King’s golden orfe of 8 lb 5 oz was accepted as an equal record. 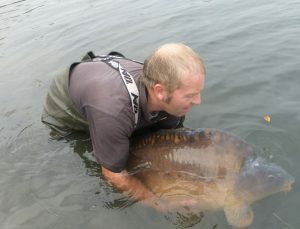 Monster 58 lb mirror carp – but 10 lb off lake best! 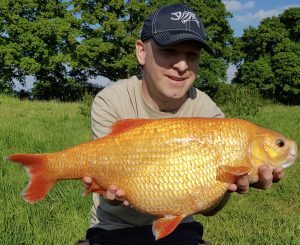 THE British Record Fish Committee’s final meeting of 2017 resulted in them turning down an application for the Israel-born potential record 68 lb 8 oz carp ‘Captain Jack’ from Cambridgeshire’s Holme Fen. 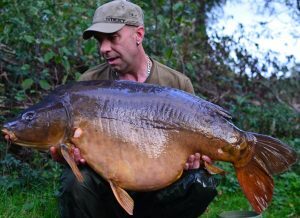 WINGHAM, the fishery tipped to produce a genuine UK-born and bred British record carp, has produced its second biggest carp at 59 lb 14 oz. 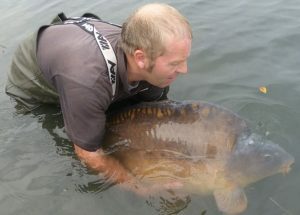 THE UK’s biggest carp, known as ‘Captain Jack’, is to be claimed as the British carp record… and is seen here being slipped back to its home after being weighed.